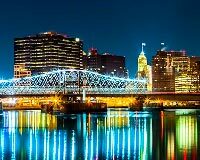 With a population of over 280,000, Newark is the largest city in New Jersey, as well as the largest in the Tri-State area after New York. The town specializes in a range of different business fields, including finance, education, automotive sales and every variety of artistic pursuit. All of these industries have logistical needs, which is why Expedited Freight offers its shipping services throughout the city. With extensive experience across dozens of business fields, ExpeditedFreight.com is well equipped to meet all of Newark’s evolving needs. ExpeditedFreight.com pays close attention to all new business developments in Newark, anticipating the type of logistical needs they will create and responding accordingly. Take the recent announcement by used car retailer Carvana that it will expand into Newark. While this will create new opportunities for consumers and businesses, it will also increase the demand for replacement auto parts. This means that carriers will need to bring these parts into Newark on a regular basis— no easy task given all the congestion in the New York area’s roads. The challenge of transporting replacement parts is only further complicated by the fact that these parts need to be delivered in pristine condition, preventing carriers from driving too quickly in order to deliver them on time. ExpeditedFreight.com stays ahead of logistical problems like this through our careful planning process. When we make an expedited delivery, we consider all possible routes between the starting point and the destination. We choose the one that is not only physically short, but that doesn’t require us to drive on damaged roads or deal with heavy traffic or harsh weather. As a result, we keep every manner of delays to a minimum while reducing the risk of damage along the way. Dedicated Driving - We dedicate a van or truck to each customer rather than forcing you to share a vehicle. This makes it easier for us to use storage equipment that protects delicate and perishable goods. It also means we won’t have to deal with detours. Trucking Teams - We put teams of two drivers in each truck, requiring them to alternate between rest and work during the journey. This lets us keep the vehicle on the road day and night, all while letting our drivers stay alert enough to do their jobs safely. Tracking Tactics - ExpeditedFreight.com monitors our vehicles while they are on the road, looking ahead for inclement weather, traffic, and other causes of delay. We steer our trucks around these obstacles whenever we detect them, thereby cutting down on both delivery times and risks to your inventory. 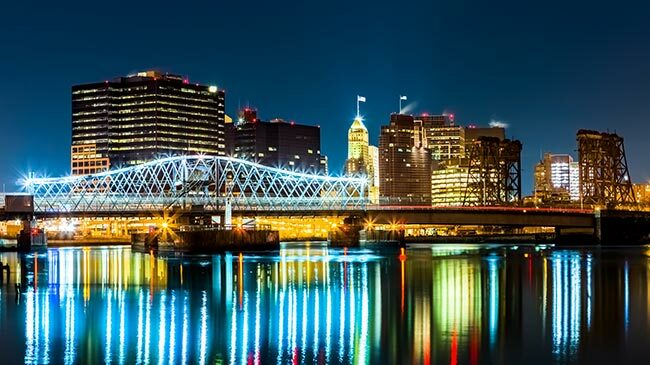 ExpeditedFreight.com provides these express trucking services to customers in Newark as well as other key parts of New Jersey, including Jersey City, Union City, Elizabeth, Edison, Paterson, Morristown, and Clifton. We offer free quotes on all future orders, as well as a 24/7 customer support center where you can ask questions and get reports on current deliveries. For more information, visit our website today or call (862) 236-3116.